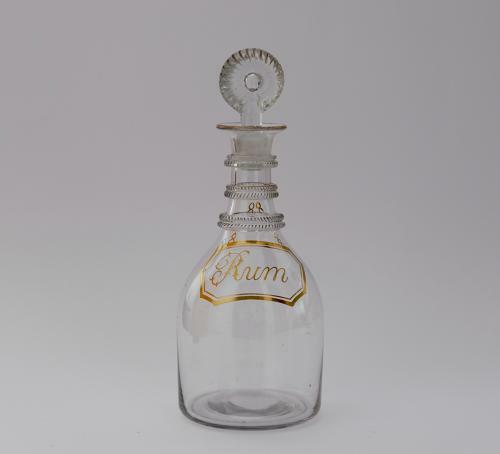 Decanter with three feathered neck rings and moulded bullseye stopper with gilt chain and label for rum. English C1800. Condition: The gilt decoration is original and in very good condition.